One may provide all the disciples of the Buddha with the four requisites in the best possible way or give the people all material things. But to enlighten them on the Dhamma with a stanza of only 4 lines is said to be the best and the highest of all other forms of gifts. Rare are the people who can preach and enlighten the listeners and convince them. 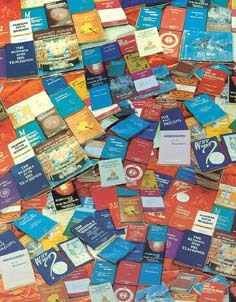 Hence the books written on the Dhamma play a very important role in the spread of Dhamma. 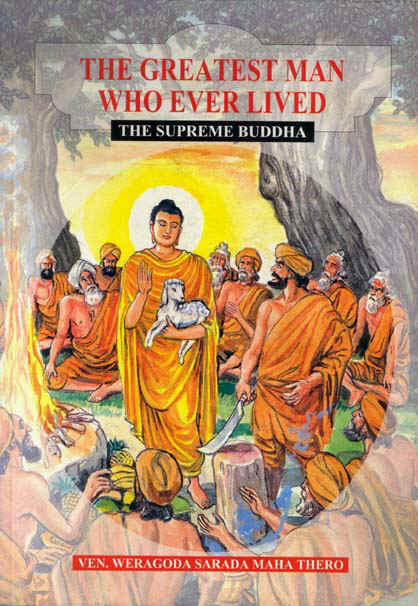 Our society has undertaken to print the books written by well-known great scholars on Buddhism. We have already printed more than three hundred books. Most of our books were printed to commemorate near and dear departed ones. Ven. Weragoda Sarada Maha Thero believes that “the routine publication in a newspaper a notice relating to a departed person is transitory as it is remembered only for a brief while. But if a book is published as a Dhamma gift in memory of the departed, that work will endure for months, years and even for centuries. 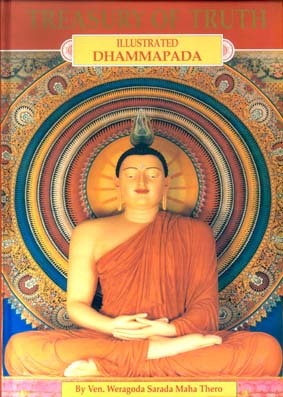 Therefore the publishing of a Dhamma book is the most effective mode of transferring merit to the departed loved ones”. 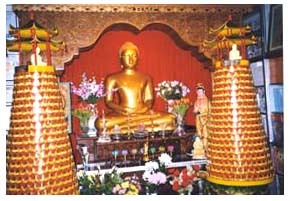 To acquire merit by spreading the word of the Buddha. 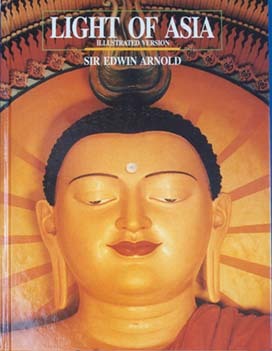 These books will be freely available to those who are interested in Buddhism. SBMC has set up four Buddha towers, to enable devotees to transfer merits to their departed ones or to invoke blessings to the living. Sponsorship for a Buddha image is S$ 100/-, the names of the sponsors or their nominees will be engraved onto their respective compartments. These Buddha images will be placed in the Centre’s Thousand Buddha Meditation Hall with the names of the Sponsors or their nominees engraved onto their respective compartments. Each Buddha image will also be lit up with a specially ordered lamp to enhance the sponsor’s or their nominees’ good health, peace, happiness and prosperity. Alternatively, if the sponsorship is in memory of a deceased, then the deceased will be blessed with a great deal of merit from the donor. The Centre will accept outright donations of S$ 1000/-.This can be paid in installments as well. This fund is used to provide food and shelter for visiting monks and nuns, as well as for the daily maintenance of the SBMC. A contribution to the Dana Fund does not mean only providing a meal or merely the offering of food items. The significance of such a contribution is far greater. When you offer food and such other items, you strengthen them, to enable them to fulfil their goals. This way you contribute not only food but deep wisdom too. By donating to this dana fund you help in the attainment of spiritual knowledge, by monks. Your contribution will have profound results. Therefore please acquire all these merits by contributing towards the Dana Fund, on behalf of your family members, on behalf of dear departed and on behalf of your ownself. The monthly contribution is S$ 10/- The annual contribution is S$ 120/- May you all acquire great merit. The SBMC has initiated a programme to ordain laymen on a temporary basis. This temporary ordination is done either on a mass-scale or else it is confined to one or two persons.SBMC in association with Phor Kark See Temple organized the largest mass-scale ordination of children on a temporary basis. Sixty-five children were ordained. The temporary ordination programme received wide coverage in print media and electronic media. This program is implemented under very special circumstances. 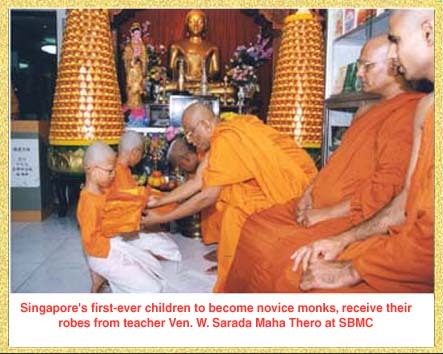 SBMC considers it a highly significant matter to organize holy tours to visit sites sacred to Buddhism in India, Sri Lanka, Nepal, Thailand, Burma etc. 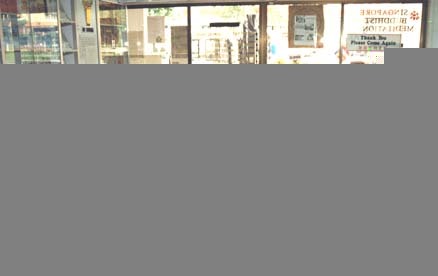 These tours are arranged from time to time partly on the initiative of the devotees. 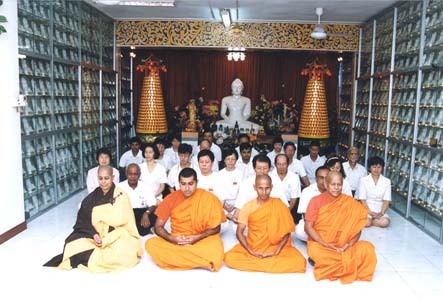 Regular mediation classes are organized for devotees. The details could be obtained through inquiry. 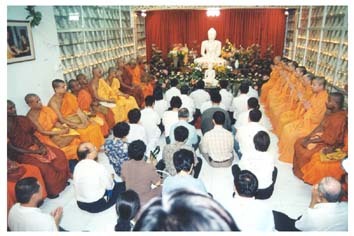 Chanting classes and children’s Dhamma classes are organized from time to time. Interested devotees could take the initiative.